This looks set to be an exciting book and one that will certainly be gracing our shelves here at the Hookedblog towers once it is released. 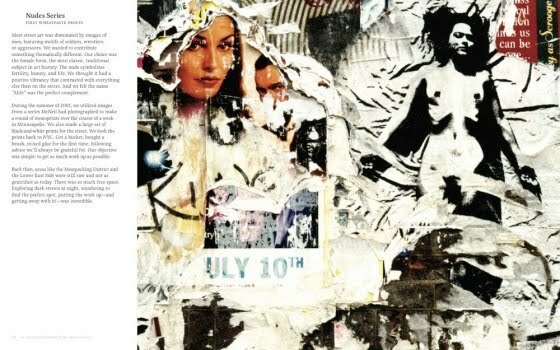 Patrick McNeil and Patrick Miller began their prolific collaboration as Faile in 1999 by creating street art in New York City. 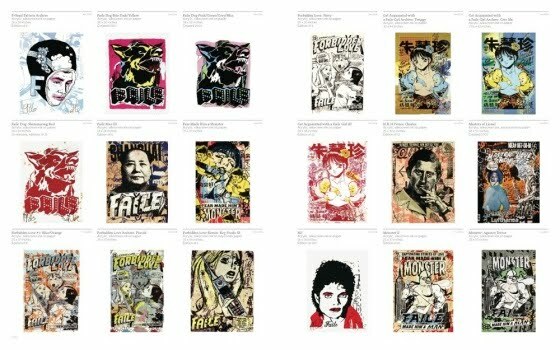 Today, Faile have established themselves along with Banksy and Shepard Fairey as the leading figures in the genre of urban art. 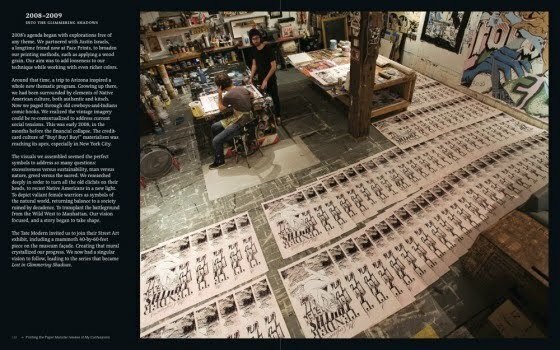 Faile: Prints + Originals 1999-2009 is the first comprehensive collection of Faile’s wide range of prints, graphic design, and paintings. Their work can be seen as a modern interpretation of classic American collage and graphic printmaking that skillfully combines visual cues from a street aesthetic, pop culture, comics, and advertising. The book is set to be released in September 2010, 224 pages, full colour, hardcover!! It's up on Amazon already.